Some time has now passed since Tim posted his thoughts on "The Fractal Art Manifesto" — basically arguing that Kerry Mitchell’s document glorifies the artist’s role and downplays the computer’s contribution. Mitchell, in a cut-and-paste epic-length response, half of which was merely quoting Tim’s original post, rebutted — and then called in reinforcements from the Ultra Fractal Mailing List. A flash mob, virtual torches and pitchforks in hand, quickly gathered and — surprise!! — supported Mitchell en masse. Mitchell then claimed that I "lowered the discourse" in my follow-up post and wondered if OT would ever get around to addressing his "relevant points." OT, of course, has no obligation to respond to comments. Comments, in fact, are responses to our "relevant points." Tim already said what he had to say about Mitchell’s manifesto, and Mitchell (and accomplices) had their chance to respond. OT’s readers, presumably, can now read both sets of views for themselves and draw their own conclusions. Very few of the protesters actually engage with Tim’s expressed observations. The gist of most of the comments fall into 1) I disagree without showing any supporting evidence, 2) You’re a fool (or variation of that insult), 3) I am an artist because see here’s my art I made stuck somewhere on Fractalbook, or 4) some variation of the “art is in the eye of the beholder” platitude (which apparently means that no one, especially Orbit Trap, can ever say anything about art at all). –Why has fractal art failed to produce recognized masterworks, like the Mona Lisa, found in other artistic disciplines? –Interacting with fractals is a more creative experience than is presenting them in a static format. –What fractal "artists" produce are "really the results of publicly owned, mathematical formulas." –You can’t make art with fractals because "fractals don’t tell stories because they don’t speak any of the visual languages, that being: the human form and gesture, or landscape." –Fractals and photography cannot be seen a comparable art forms because "photography has the richly expressive world of real life to draw on and that makes all the difference." –You cannot draw with fractals. You can only enhance them, and "the creative scope gained from such features doesn’t make up for the limitations that fractal imagery already imposes." –Fractals are "parameter art" that is "rigidly deterministic and we interact with them only in those aspects of which the parameters are adjustable." Therefore, "working solely with parameters is also an aspect of fractal art that limits its creativity and homogenizes its style." 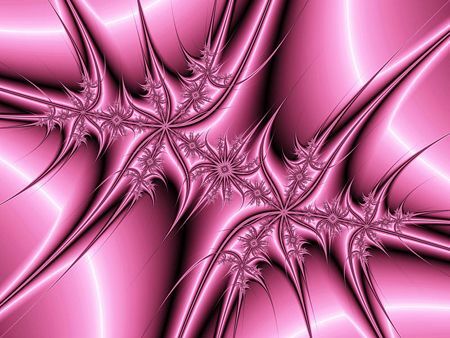 –Fractal artists have no identifiable styles. Why? "Because they don’t post-process their work [thus creating "pixel art"] and avail themselves of the thousands of weird and not so weird graphical effects and filters that transform images much differently than the standard ways fractal programs do." –Consequently: "Pixel art is a natural extension of fractal art for the graphically creative, while parameter art is satisfying only to those who are technically creative." –Unless you post-process, you are merely a technician. "Artists crave novelty and are inherently drawn to create; and ‘to create’ means to make new things, not polish the old stuff up or tweak to perfection imagery that lacked style in the first place and only possesses technical merit. Fractal programs are the comfy home of the technical ‘artist’." 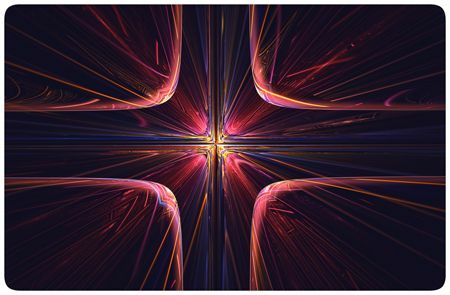 –Then Tim answers his opening question: "I believe the reason why fractal art has failed to attract any serious artists or art talent is because any reasonably skilled artist can see how rigidly deterministic the process of creating fractal art is." There’s much more, of course, but I’ve encapsulated enough to make my point. Which is: Did any of the commenters ever get around to addressing any of these claims — addressing them and refuting them with the same breadth and depth that Tim argued them? It is my belief that they did not. So, what did they say? Here’s a sampling. Isn’t everything we perceive a “geometric construction” from the macro right down to micro level? To a physicist, maybe. To the rest of us, no. I’ve yet to see, say, a newborn infant that looks exactly like a Menger sponge. Design and ornamentation are still art. Saying that someone is wrong for calling something art in their own perspective is the same as telling someone their opinion is wrong. I put up an OT post two years ago explaining why lovely ornamentation is not automatically art. And is Elaine suggesting that no expressed opinion, however farfetched, can ever be considered wrong? So if I express an opinion that Sarah Palin rode dinosaurs sidesaddle 6,000 years ago when the earth was flat, no one can question my perspective because "opinions are in the eye of the beholder"? I love making my fractal flowers, and in that sense, I have mastered that form within the realm of fractals. Tim already explained why such an accomplishment is more technical than artistic. Yes, the computer does the rendering but the artist has to input so much to really make it an outstanding piece. but without explaining away or accounting for Tim’s points about the deterministic nature of "parameter art" and its inherently homogenized style. Although, according to Buddha Kat, I have no right to "describe/define" anything at all, I’ll risk venturing an opinion (which Elaine claims is "in the eye of the beholder" anyways). The two images above, made with different programs (according to their creator), illustrate Tim’s claims about "parameter art" being prone to rigid determinism, if not exhaustion. Moreover, I do not think these particular works rise to the level of art. They are ornamentation — decorative (and common) fractal forms that, in my view, are not even especially well crafted. I don’t argue that there’s a lot of similarity in images created with the same program, but I do argue with the idea of that being inherent in the process. The application of paint to canvas is an inherently limited process, but yet, artists have found ways to communication thought and emotion through their paintings. Communication requires a receiver, so perhaps, over the hundreds of years that folks have been painting, viewers have learned how to become effective receivers of the messages that the painters were sending. other than, at best, an aesthetic response to viewing a decorative object? Mitchell has yet to make a convincing case that the "organized imagery" of fractals can be just as meaningful as either painting or photography. Mitchell goes on to equate fractals with photography because "artists" in both examples "capture a scene." 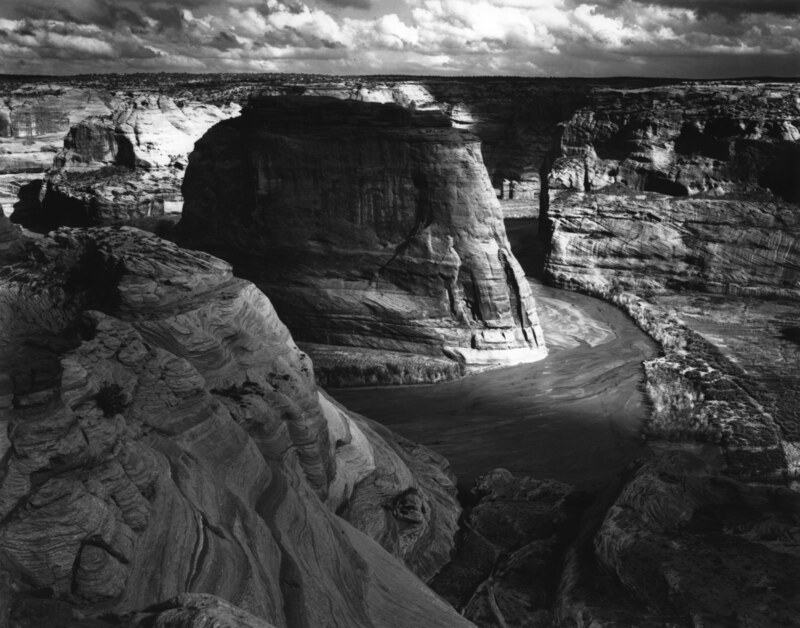 But a scene captured by Ansel Adams (one of Mitchell’s favorite examples) is generally of a recognizable facet of nature. What, though, is the scene captured in Mitchell’s image above? That’s what Tim meant when he noted that Mitchell appropriated other disciplines, like painting and photography, and compared them to fractals "only in very general terms so that they will be broad enough to qualify fractals for membership." Mitchell has shown only spacious similarities (like "capturing a scene") but never demonstrates that fractals (parameter art) deliberately use the elements of design in ways that painting and photography (and pixel art) can and do. What’s next? “Yo mama’s so fat…” Or maybe, you’ll reach the pinnacle of internet discussion and just call us all (Fractal)Nazis. Kerry, there is a certain class of people in this world who cannot create anything themselves, so they try to make themselves feel important by tearing down what others create. They can then feel more powerful than those who do the creating. Their value system behaves as if blowing up a building was of more value to the world than building it. Since they have no self-worth themselves, they have to try to destroy something to prove their power over those who can and do create. People like that are not convincible of anything. Because they cannot create anything worthwhile, they have to destroy. Comments on that post only give them more to tear at. Ignoring them is (in my humble opinion) the most powerful thing you can do to shut people like that down – sort of like not giving terrorists free time on TV. Arguing with them only encourages them. The Fractal Art Manifesto was a brilliant piece of writing that has stood the test of time, at least so far. It doesn’t need defense against idiots who (1) obviously don’t even understand it, and (2) distort carefully selected portions of it. 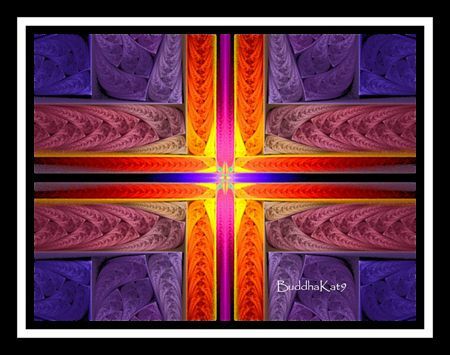 When someone who can create really good fractal art and sell it or get it hung in a serious art gallery critiques the FAM, I’ll read that person’s comments. But when someone who has never created anything worth looking at tries to drag others down to their level …. well …. Everyone here should read the FAM, but imagine if no one ever read the OT blog, how long would they keep writing it? That’s right. We’re worse than Nazis. We’re terrorists. Throw us in the same police line-up with Timothy McVeigh and Osama bin Laden. No difference. is not creating something worthwhile? Personally, I’m not…well…"convincible." Oh. Incidentally. I’ve had a few shows in "serious art galleries" — for whatever that’s worth. And we both manage to find the time to create our own artwork, too — that is, in between escapades like dragging others down to our own level and blowing up buildings. Terry, you need to learn how to quote properly. I said that “beauty and meaning lay in the eye of the beholder”. When it came to opinion, I stated that one opinion does not negate an opposite opinion merely by its existence. You also appear to be confusing conjecture with opinion. The Sarah Palin hypothesis you present above is conjecture, not opinion. Are you aware of Russell’s Teapot? The conjecture you illustrate there falls under that demesne. 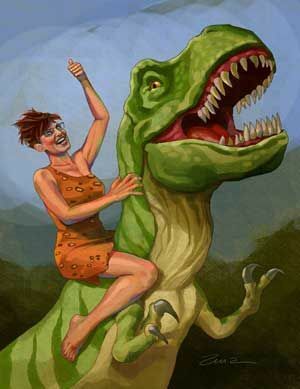 To make it clearer, in some opinion, that conjecture regarding history including dinosaurs being ridden may be considered silly. In other people’s opinion, it might not be a silly conjecture. Neither opinion is wrong, based upon the conjecture of the saddled dinosaurs being presented. Neither opinion change the fact that the statement you present is conjecture and hypothesis. Both of these opinions can lead to people doing the research that is needed to take the conjecture and hypothesis on towards figuring out what the actual truth behind that statement is. If it cannot be proven no matter what, it remains conjecture (not opinion) and we are left back at the teapot. Let us take the mandala. I see many mandala as art, due to my experience with Buddhism. Most people define the mandala as ornamentation. Just because I have the background and context to call a mandala art, and another person only sees it as ornamentation, well, neither of us are wrong. Let us take the column work of Greece and Rome. The designs and elements for these columns are used over and over again by different artists. They are ornamentation. Yet some are considered to be artful, and others are not. That is because you can artfully render a column of grape leaves, or you can merely render it adequately for decoration. It is still ornamentation, and one rendition is still considered art, and artfully presented. Let us take the Mona Lisa. This is a painted portrait. Some people think they see “mystery” in her smile and call it a masterpiece. I see it as a portrait, and I don’t see anything mysterious about a woman smiling in a portrait. It is only artful to me in its technical aspects, and is no more interesting than a landscape that is technically well painted. Does my opinion negate others’ opinion that the Mona Lisa is a masterpiece? No. Does the fact that I am probably in the minority for my opinion on the Mona Lisa make my opinion wrong? No. Even getting an exhibition in a gallery is a result of the opinion of the curator or director (or team), and the opinion is specific to that gallery and its staff involved in the decision. They opine that your work is or isn’t good enough according to them, in order for them to say “yes, put your stuff up in *our gallery*”, or, “no, sorry *our gallery* does not consider your work to be art, please go elsewhere”. Just because they labeled your work as “not art” doesn’t mean another gallery couldn’t turn around and label it “art”. What is your definition of art? What is your definition of a masterwork within your definition of art? Do you separate the concepts of a technical masterwork versus an intellectual masterwork when you define pieces? Please use contemporary examples (we’ll go with the last 15 years as a time frame), rather than historical ones. I want to hear your opinion on this, Terry, not the opinion of someone else. I would also like to know how you and Tim reconcile the concept of the landscape painting to your idea of what is or isn’t art, or is or isn’t a masterwork. I would like to know if you ever consider a speech, or diplomacy, to be artful. I suppose I just find it irksome to have someone try to tell me I am wrong for perceiving individual pieces in a genre as art, just because they reside within a specific genre. Again, that is telling me my opinion is wrong. I could care less if you don’t agree, just don’t tell me I am wrong for finding meaning in something that you don’t.